Less really is more in advertising. You only need to look at some recent research we conducted with France Télévisions Publicité to see how. Our study with the French state broadcaster - in which we used webcams to analyse the emotional reactions and attention levels of nearly 600 consumers in France using our face-reading AI technology - found that reducing the number of ads shown before content can have a significant impact on an advertiser’s brand and business metrics. 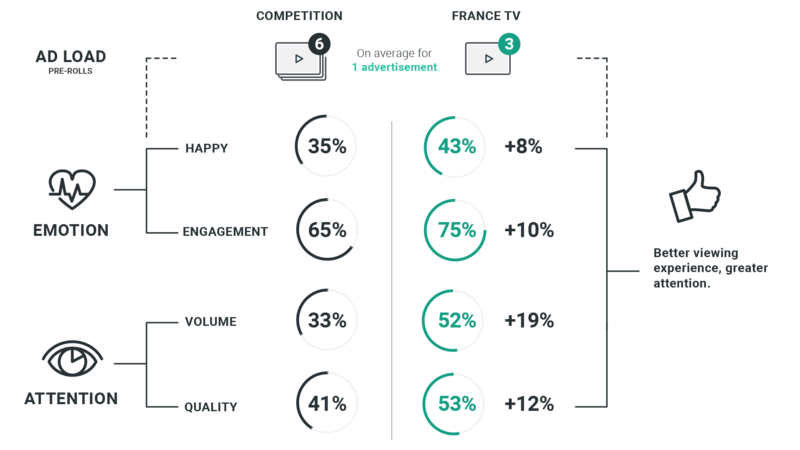 For example, when you compare what happens when you show three pre-roll ads rather than six, spontaneous brand recall increased by 5% and assisted recall by 7%. The research also found that lowering ad load can also improve advertising efficiency. Halving the number of ads shown before the main content from six to three also increased overall attention by 19%. Emotional engagement also increased on average by 10%.